Our love for the French Basset started in 1973 with our female ‘Inou du Toutounier’. Always cheerful, a little bit self-willed and with a great devotion for her owner. 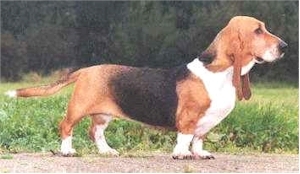 That characterised Inou and all the other French Bassets that were later born in our house. Irresistible and incredibly sweet. With a stable personality. They have a talent to please, a talent to sense. They are fond of people and other houds. Famous, because of their special appearance: a hound from days gone by. They could have jumped out of an old medieval painting, with their long ears and beautiful colours. Then our Jacobine joined Inou, after all, they are packhounds. 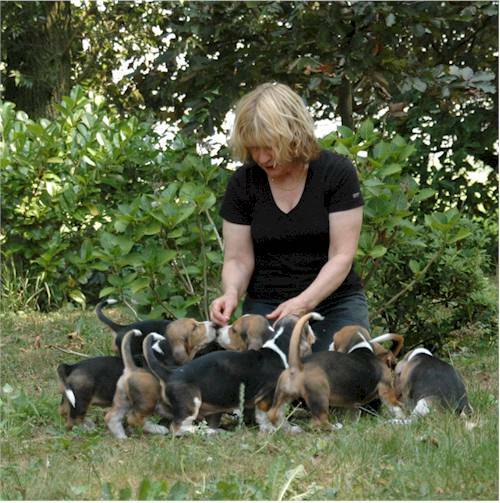 Breeding pups formed the further inspiration to do more for and with the Basset Artésien Normand. Exibitions are another aspect. Good health, a good character, good movement and a nice appearance play a major role. Furthermore the hunt. We did examens to obtain a ‘brevet de chasse’. Today, 36 years later, we realise that we had lots of champions. Some of our hounds went to the USA. 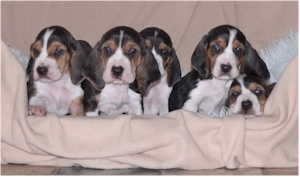 With these hounds Mr and Mrs Goeldner build a pack close to Memphis: the ‘Mississippi Valley Bassets’. A beautiful pack with well trained French Bassets for the hunt on several types of game, such as swamp rabbits and cottontail rabbits. This website gives you an inside in this particular breed with the most pronounced traits of character: soft, nice, cheerful and irrestible. The French Basset, a passion for life.